When Apple announced the iOS 12 software at WWDC in June, it made a huge fuss about Group FaceTime calls. It would allow you to make FaceTime video calls to up to 31 people simultaneously. Apple fans were excited. But only about a month before the iOS 12 public rollout, we have learned that Apple has delayed the Group FaceTime to a future software update. The iOS 12 will launch next month without one of its most hyped features. Apple revealed at WWDC that the FaceTime would get filters, Animoji, and Memoji features. Group FaceTime will also not be part of the macOS Mojave rollout next month. It means both iOS and macOS users will have to wait a little longer to be able to use the feature. On Monday, Apple released the iOS 12 developer beta 7 for testing. The tech giant said in the release notes that Group FaceTime had been “removed from the initial release of iOS 12.” It now plans to ship the feature “in a future software update later this fall.” It indicates that the feature could be part of the iOS 12.1 or 12.2 update rather than iOS 12.4. The Group FaceTime rollout is unlikely to go the way of AirPlay 2. Apple had announced AirPlay 2 as part of iOS 11 last year, but released it in May this year as part of iOS 11.4. AirPlay 2 is an advanced wireless streaming technology. Apple’s release notes suggest Group FaceTime won’t be pushed back to 2019. A lot of Apple fans had been waiting to try the new FaceTime video calling feature with up to 32 people. They are going to be a little disappointed following the revelation. Fortunately, developers and public beta testers already have access to the feature. But the beta software could be buggy, so do not install it on your primary device, especially if you rely heavily on it. If you do want to video chat with more than one person, you can use other apps for now. WhatsApp and Instagram both support group video calling features for up to four people. Facebook Messenger supports video calls with up to 50 users and Skype supports up to 25 people. Apple removed the iOS 12 developer beta 7 from its servers just hours after making it available to developers. The tech giant hasn’t offered a clarification on why it pulled the beta software, or when it plans to release it back. Developers could still access the IPSW file, though. Numerous developers who were quick to install it said it could be due to bugs and performance issues. The bugs could also affect the rollout of the public beta. MacRumors forum member OldSchoolMacGuy found that apps on the seventh developer beta took more than 10 seconds to load on the iPhone X. A restart didn’t fix the issue, but in some cases the devices returned to their normal speeds after about ten minutes. Beta versions of any software often contain tons of bugs, and iOS 12 is no exception. That’s why experts recommend public testers to install beta software only on their secondary devices. Many other developers also complained about non-functioning notification center and lock screen, and sluggish animations. 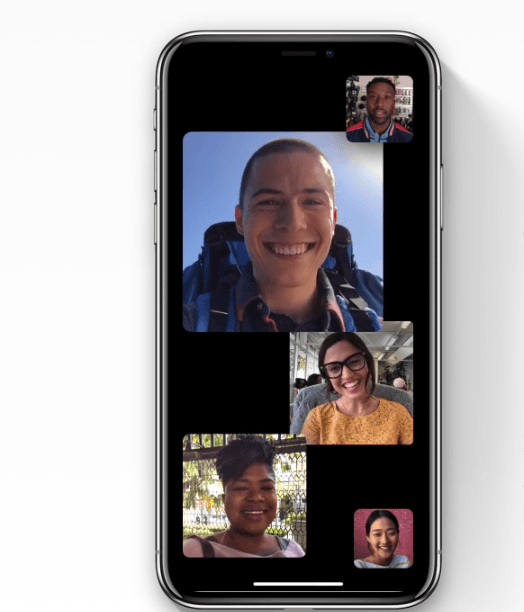 Though Group FaceTime will be missing from the iOS 12 rollout next month, the software will bring a number of new features. They include Siri Shortcuts, improved augmented reality, Memoji, more Animoji characters, better parental controls, and Screen Time. The Screen Time allows you to track how much time you spend on your device and within individual apps. You can then set a daily time limit on each app. The iOS 12 also promises to offer faster performance such as 50% faster keyboard display and 70% faster swipe to the camera, even on older devices.